One of the most revered works in English literature, Great Expectations traces the coming-of-age of a young orphan, Pip, from a boy of shallow aspirations into a man of maturity. From the chilling opening confrontation with an escaped convict to the grand but eerily disheveled estate of bitter old Miss Havisham, all is not what it seems in Dickens' dark tale of false illusions and thwarted desire. Raised by a humble blacksmith, Pip is recruited by the wealthy Miss Havisham to be a companion to her ward, the cold but beautiful Estella. There, Pip learns to despise his rough origins as Estella torments him about his low prospects. When Pip is informed that an unknown benefactor expects to make him his heir, he sets off to London to realize his "great expectations." But true gentleman stature, he will find, is a matter of character, not fortune. 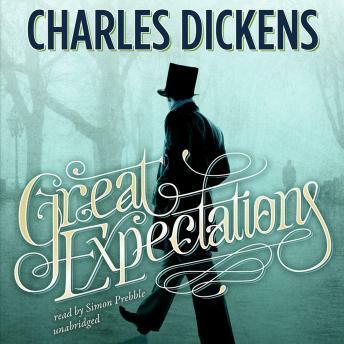 One of Charles Dickens' best and extremely well narrated.